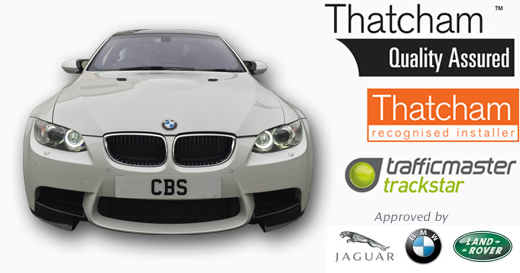 CBS Automotive offer the RAC Trackstar TM470 GPS/GSM tracking system, offering both security and peace of mind that your vehicle is protected from theft. Our team has a wealth of experience in vehicle security and can advise you on the best Car options for your needs. We can also provide nationwide installation and all installations are carried out by Thatcham approved installers. Rac Trackstar TM470: Insurance Approved (ThatchamTQA) + CAT6 Approved Vehicle Tracker which is suitable for all makes and models. Trackstar use the latest GPS Stolen Vehicle Tracking technology to locate and track your vehicle, liasing with Police forces across the UK, and Europe to recover your vehicle in the shortest time possible. Once activated the location of a vehicle is pinpointed every 20 seconds. If your vehicle is moved illegally Trackstar will locate it using the Global Positioning System (GPS) in your vehicle's Trackstar tracking module. If your vehicle is moved without the use of its keys outside of its geofence, the unit will notify us and Trackstar will then contact you immediately. Recovery of assets from as little as 8 minutes!